It’s been a while since I last post recipe on savory dish. Last week on a rare night, I got to cooked myself a dinner. 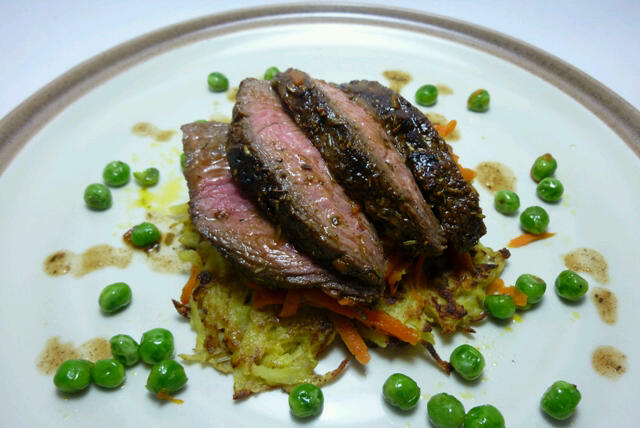 It’s a simple tenderloin rubbed in dry herbs & spices, grilled to medium, the way I like my steak to be. At first I thought about some mashed potato, but then I saw my big grater, so I decided on hash brown. I loooove hash brown! I love Italian balls! Wait… Does that comes out wrong? I’ll repeat.. I love Italian MEATBALLS! Cooked in tomato sauce and poured over fresh spaghetti, mamamia, I’m in heaven. 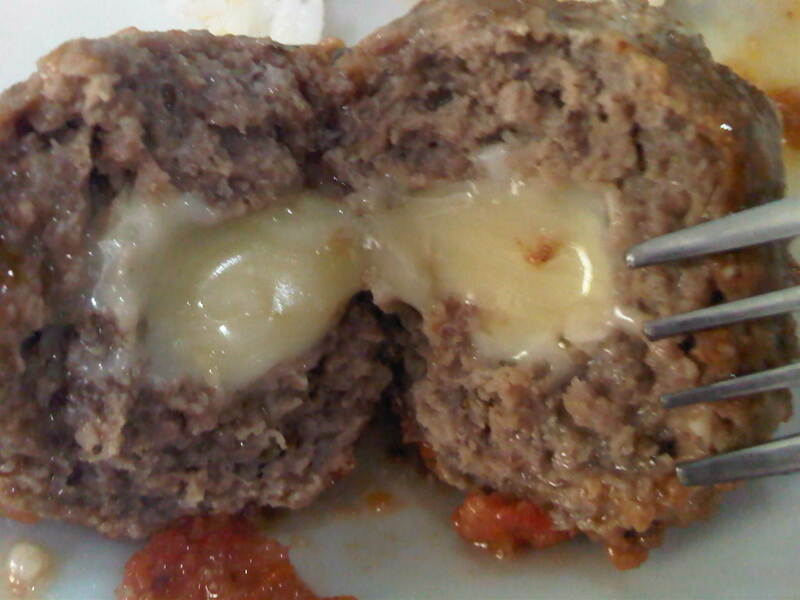 I’m gonna share one of my favorite meatballs recipe that includes, what else, cheese! Don’t you just love cheese? I love cheese! One of my favorite pasta is ravioli, and my favorite ravioli is spinach ricotta. I’m glad I’ve found a good recipe somewhere online a long time ago. But, I’m not very good & diligent on following recipes, so I always made it with my own flare. LOL. Look at my nail at the background! Cute, right?